Arts & Crafts at it's best. These custom night stands were built from quarter sawn Red Oak, using knots and character boards to punch up the look. 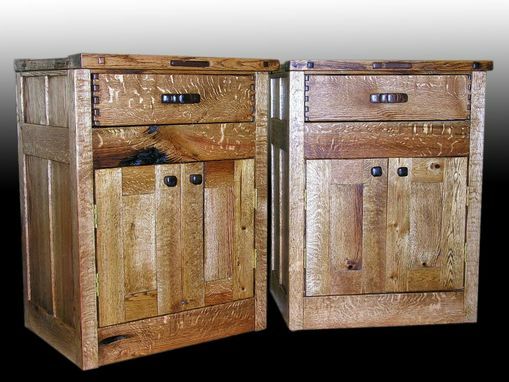 The handles are made from locally grown Black Walnut. 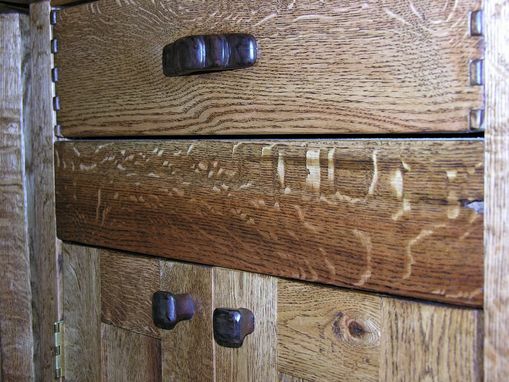 Box joint drawers on wood slides. 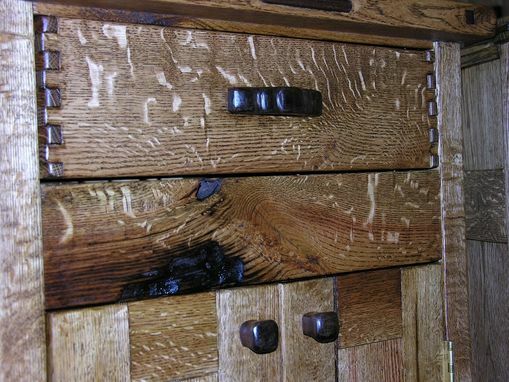 A dark stain was used to reflect the 20's and a Waterlox finish.